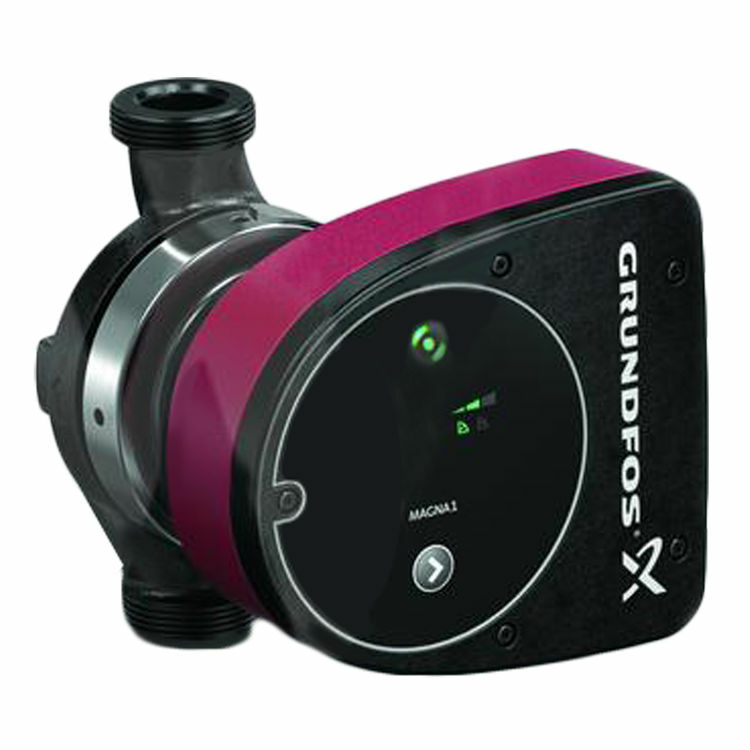 Grundfos MAGNA1 65-120 GF 340 115V High Efficiency Circulator Pump. The MAGNA-1 Series Circulator Pumps are specifically designed for use in liquid circulating heating systems with variable flow outputs. The MAGNA-1 Pumps are designed for proportional/constant pressure control, and constant curve speed duty. Other features include an insulated shell supplied with single-head pumps and a wide temperature range where the liquid temperature and the ambient temperature are independent of each other. This Grundfos MAGNA1 65-120 GF 340 115V High Efficiency Circulator Pump is a high efficient and low energy consumption pump, and complies with the EuP 2013 and 2015 requirements. Other key benefits of the MAGNA1 65-120 GF 340 115V High Efficiency Circulator Pump include: eight light fields for indication of pump settings, a low noise level, and minimal pump maintenance is required even after years of service. The pumps pressure range has a maximum system pressure rating of 16 bar (PN 16).